Howard Donnally is President of Gold Eagle Brands for Gold Eagle Co.
Mr. Donnally joined Gold Eagle in 1997 and recently served as Executive Vice President of Sales, Customer Advocacy and Product Engineering. As President of Gold Eagle Brands, Mr. Donnally leads the Sales and Marketing teams working to grow and expand the company’s key areas of focus, while emphasizing a customer-focused approach in all areas of his responsibility. He also directs the company’s International Business division. Mr. Donnally serves on the company’s Board of Advisors, CEO Forum and the Coordinating Executive Team. 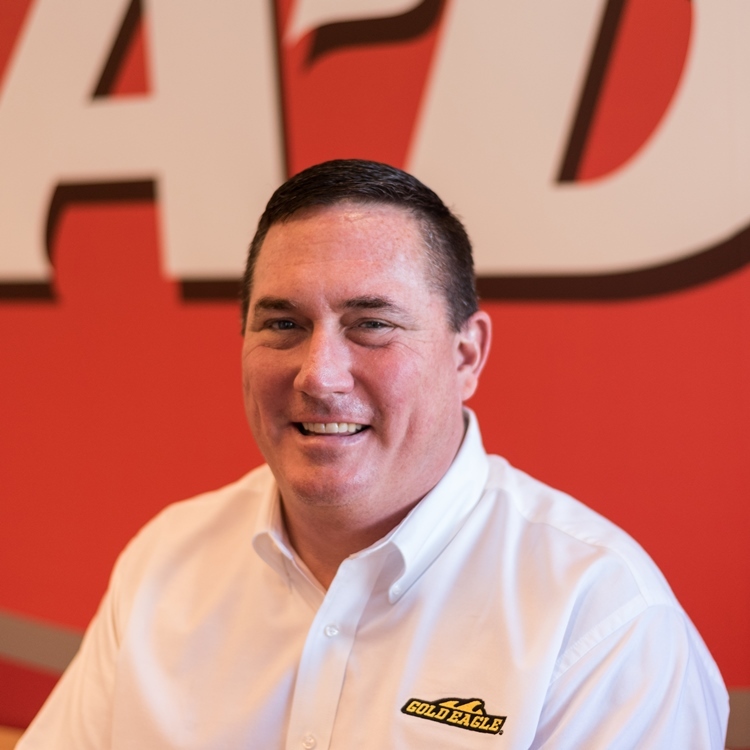 Mr. Donnally previously a group manager for Genuine Parts Company stores in Florida, where he oversaw operations for multiple NAPA Auto Parts operations. Mr. Donnally is a graduate of the Kellogg Management Institute. He earned his Bachelor’s Degree from Indiana University from the Business School of Environmental Affairs.